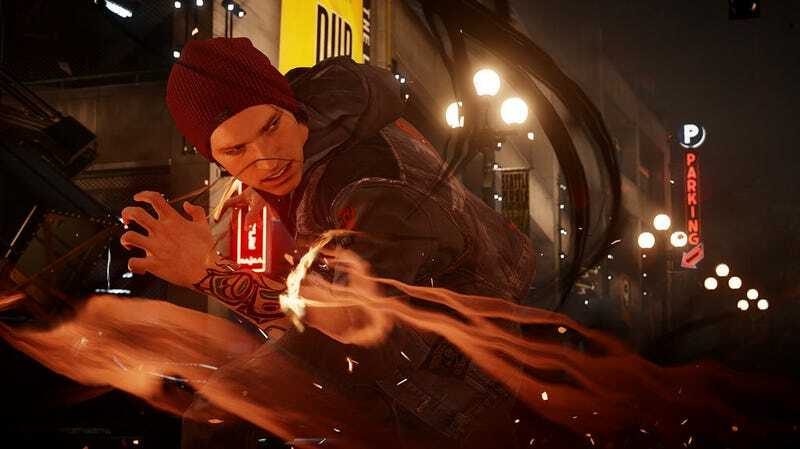 Infamous: Second Son has always looked pretty cool but I never got around to it, so I’m really excited it’s in this month’s PS Plus lineup. There’s also some extras in this month’s lineup, including a free PSVR game. As usual, these games are only free if you have an active PlayStation Plus account. Update 3:50pm: According to the PlayStation blog, “An earlier version of this post featured an incorrect version of the September lineup.” Monster Jam Battlegrounds, Hustle Kings, Hue, and Sky Force Anniversary have been replaced. The new lineup is featured below.